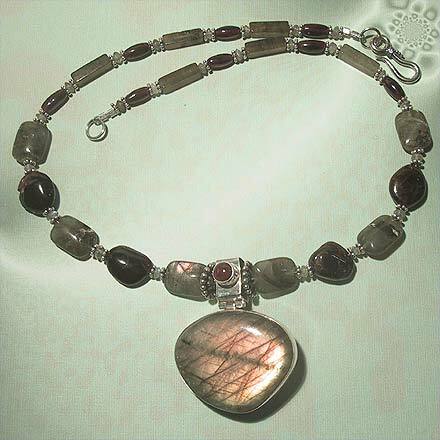 Sterling Silver Labradorite and Garnet Necklace. See Closeup. 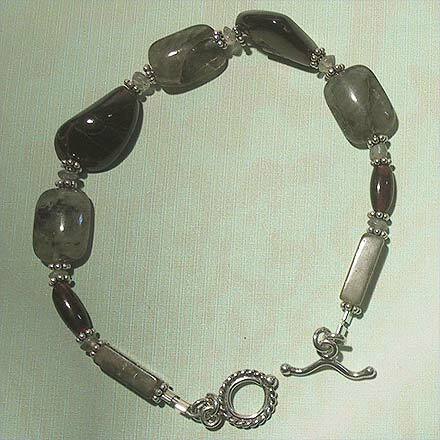 Sterling Silver Labradorite and Garnet Bracelet. 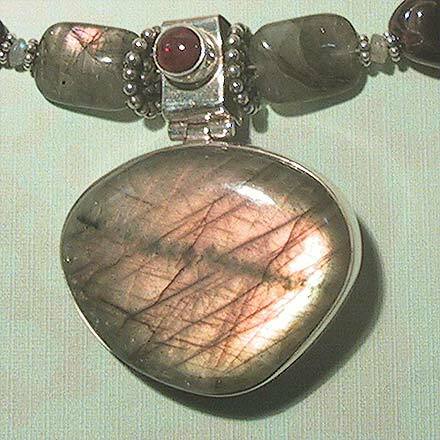 An amazing flash of golden orange can be seen in this 1¾" Labradorite pendant with a Garnet on the bail. The 17½" necklace and 7½" bracelet also have Labradorite beads with a variety of flashing color (which is very hard to capture in a photograph), as well as large chunky Garnet beads! For those who are interested in Astrological significances of stones, Garnet corresponds with Capricorn, Aquarius and the month of January.